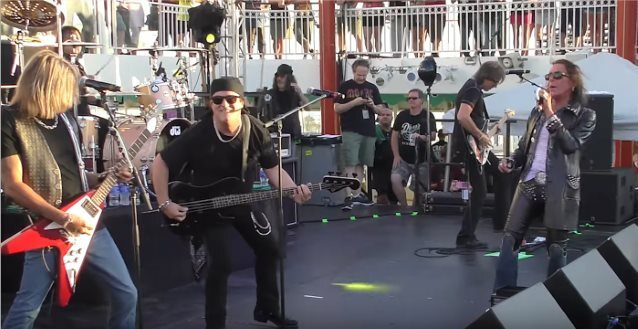 Dave Stabley of Big Bad Dog Productions has uploaded multi-camera, professionally filmed video footage of three members of RATT's classic lineup — singer Stephen Pearcy, bassist Juan Croucier and guitarist Warren DeMartini — performing the RATT song "Wanted Man" as the "surprise band" on October 1, 2016 on the Monsters Of Rock Cruise West, also known as Monsterwood. Check out the clip below. Joining Pearcy, Croucier and DeMartini on stage at the event were former QUIET RIOT guitarist Carlos Cavazo, who played on RATT's last studio album, 2010's "Infestation", and drummer Jimmy DeGrasso, who previously played with Y&T, WHITE LION and MEGADETH, among others. As previously reported, the newly reunited RATT — featuring Pearcy, Croucier, DeMartini and Cavazo — has been confirmed to perform at this year's edition of the M3 Rock Festival, set to take place on Friday, April 28, 2017 and Saturday, April 29, 2017 at Merriweather Post Pavilion in Columbia, Maryland. 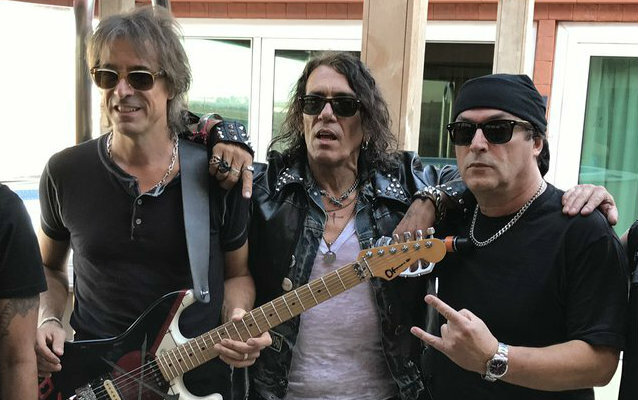 Pearcy, Croucier and DeMartini took control of the RATT name after a judge ruled against drummer Bobby Blotzer with respect to whether Croucier had committed trademark infringement by using the RATT name and logo to advertise his band RATT'S JUAN CROUCIER back in the fall 2015. The judge furthermore decided that the corporation WBS, Inc., of which Blotzer and DeMartini were thought to be the sole shareholders, and which Blotzer has claimed owns the RATT name and brand, did not have ownership interest in the RATT marks and that the name and brand was still owned by the members who were part of the original RATT partnership agreement: Pearcy, Croucier, DeMartini and Blotzer. Blotzer's attorney, Drew Sherman, fired back last month, saying, "It's a long time before this is done. We're not even at the appeals part yet."